Anyone who logs on to the University of Canterbury website may access the UC Policy Library. All documents within the library are in the public domain. In instances where it is appropriate for there to be restricted access to a particular document, only members of the University community with appropriate access rights will be able to access these documents (e.g. staff only). Copies of UC Policy Library documents should not be uploaded onto another web page, because once downloaded and saved or uploaded to a web page outside of the UC Policy Library, a document is considered an uncontrolled version. It is preferable to insert a hyperlink to the official electronic version of the document on the UC Policy Library. While all documents in the library are printable, users should be aware that the content of these documents can and does change often. Once printed or downloaded and saved outside of the UC Policy Library, a document is considered an uncontrolled version, meaning that the Policy Unit has no control over that printed document. The document may well become out of date within a short amount of time as reviews can occur before the review date stated on the policy document. Relying on printed versions of policy documents may lead to a breach of the current policy. Only the official electronic version of the document available from the UC Policy Library is considered to be the most current version. Any queries about a document should be referred to the Contact Officer identified in the header of the document, or to other contacts identified in the body of the document to which your query relates. The Contact Officer is responsible for day-to-day administrative enquiries about each document. This person will also be the first contact during the review process and will have tasked responsibility for the document's validity. A list of current Contact Officers can be accessed here. The Policy Unit posts helpful tips for those reviewing and approving policies and notices about policy on the internal staff newsletter, Intercom. Topics will cover from how to address issues accessing and editing draft documents, to updates regarding UC Policy Library content and layout. Policies are routinely reviewed at least once every three years, although more frequent reviews are sometimes required. Find out which policies are due for review this year. Legislation: Acts and laws approved by Parliament and enforceable by the government of the country. For example: Privacy Act 1993. Metapolicy: The University's 'Policy on Policies'. Outlines the processes and responsibilities applicable to the University's institutional policies. The Metapolicy can be found via the search function in the UC Policy Library Home. 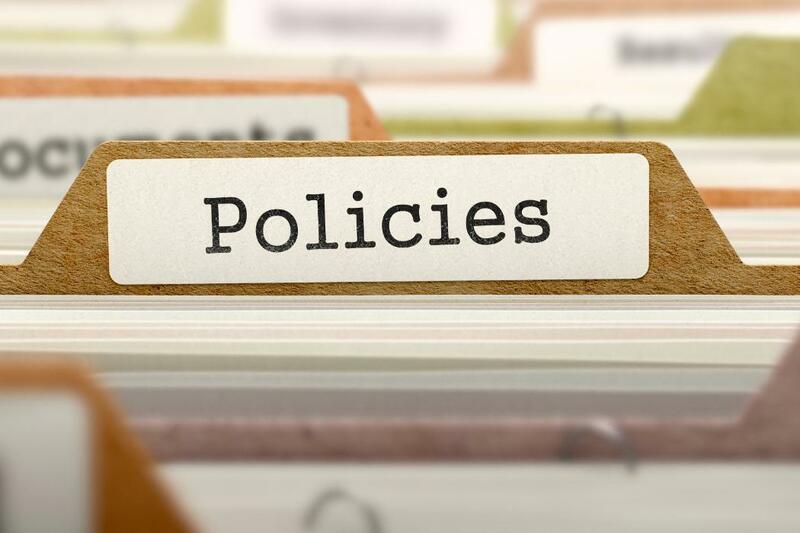 Policies: A policy is a University Council or delegated authority approved document regarding the University’s position and expectations in a particular area. It clearly communicates the University’s direction and ensures compliance with University goals, values, strategies and relevant statutory and regulatory regimes. A policy will consist of statements including (but not limited to) what the policy is about, why it is required, consequences of non-compliance, what department governs it and who is responsible for executing and enforcing it. Policies will usually include Procedures and/or Guidelines as sub-headings. For example: Fraud Response Policy. Procedures: A procedure is a standardised, step-by-step method of implementing the University’s goals, strategies and compliance with regulatory and statutory regimes, at a high level. Those procedures published on the UCPL are also University Council or delegated authority approved. Compliance is expected to avoid breach of policy. Procedures will identify what tasks are performed who performs what task, as well as when and at what standard they are to be performed. For example: Performance-Based Research Fund (PBRF) – Funding and Allocation Procedures. Guidelines: A guideline is a University Council or delegated authority approved “best practice” statement that supports the implementation of policy or procedure by identifying risk mitigation methods and/or methods to enhance efficiency, accuracy or productivity. If the guidelines are followed, the risk of acting outside of policy or procedures is substantially reduced. If guidelines are not followed, deviation should be explained as it could contribute to a breach of procedure or policy, or increase the risk of a breach. Regulations are approved by Council or a person or body holding delegated authority from Council, are mandatory, and failure to comply with them will normally result in penalties. Note: other tertiary institutions may refer to 'regulations' as 'statutes'. The University of Canterbury rarely uses the term 'statute' but an exception are the Parking and Traffic Statute 2003 and Court of Convocation Statute. Framework: The online online Merriam-Webster Dictionary provides a defintion appropriate in the context of drafting as "a basic conceptional structure (as of ideas)". The online Business Dictionary defines a framework as a "broad overview, outline, or skeleton of interlinked items which supports a particular approach to a specific objective, and serves as a guide that can be modified as required by adding or deleting items." Frameworks will describe a particular approach at a high level while allowing a degree of flexibility in how an approach is implemented. View recently approved new policies. Find out how our policies have been amended. Our review process means some old policies no longer required.